North Dakota is a state located in the Midwestern region of the United States, along the Canadian border. The state is bordered by Manitoba and Saskatchewan to the north, Minnesota to the east, South Dakota to the south and Montana to the west. North Dakota is the 19th most extensive, but the 3rd least populous and the 4th least densely populated of the 50 United States. For more than a decade, the state has had a strong economy, with unemployment lower than the national average, job and population growth, and low housing vacancies. Much of the growth has been based on development of the Bakken oil shale fields in the western part of the state, but it has also had growth in the technology and service sectors. Names of North Dakota corporations must be unique and should not be confused with names of any existing entity or trade or service marks. Company Express will research your company name to make sure it meets North Dakota’s standards. Turnaround time: About 1-2 weeks. Time to file: Annual report is required and is due on May 15. The filing fee is $25. Signatures: Any authorized signatories can annual reports. Emailed or faxed signatures are accepted. Names of North Dakota Limited Liability Companies should not be confused with any existing entity, or any reserved, fictitious or trade name. Company Express will research your company name to make sure it meets North Dakota’s standards. Minimum number: Minimum one manager / member is required. Local regisered agent is required. 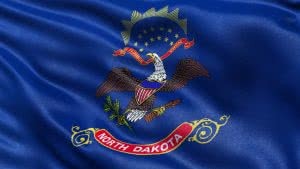 Time to file: North Dakota requires LLCs to file an annual report, which is due before November 16. The filing fee is $50.